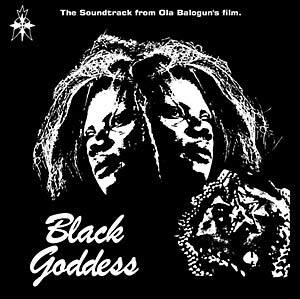 Black Goddess was written and directed by Ola Balogun (recognized as one of Nigeria's most renowned directors) but shot and cast in Brazil and released in 1978. The soundtrack was composed and produced by one of Nigeria's most successful and original musicians Remi Kabaka (who has played with Steve Winwood, Paul Simon and Ginger Baker, amongst others). The record was originally issued in both Nigeria and Brazil, but recorded in Lagos, using four of the Nigerian music scene's most innovative players: Remi Kabaka himself, alongside Biddy Wright (producer of The Lijadu Sisters' album Danger), saxophonist Dele Okonkwo and Mono Mono frontman Joni Haastrup. The result is a truly unique and experimental Afro-jazz recording that has been out-of-print for many years, until now.